Everyone has his or her own secret to making perfect guacamole but some of those recipes have been pretty controversial among avocado aficionados. Actress-turned-Cooking Channel host Tiffani Theissen has been quoted as saying she loves grapefruit in guacamole and Chrissy Teigen received a lot of backlash after proclaiming that she actually adds cheese to hers! But Ina Garten, who we have long trusted as the gatekeeper to many of the finer things in life, has a somewhat unusual recipe that we can absolutely get behind. While many chefs and home cooks put a dash of lime in their recipe, the Barefoot Contessa is on a different side of the citrus tracks. Her recipe also includes red onion, garlic, kosher salt, black pepper, tomato and Tabasco sauce — a relatively unorthodox choice for heat instead of diced jalapenos. Hey, it’s a twist...but it’s a twist from a pro so we’ll certainly give it a try. Garten’s Instagram video was posted less than 24 hours ago and it's already garnered almost 200,000 views with lots of commentary over whether it's better to use lemons or limes, the lack of cilantro, the relatively rough chop and the use of Tabasco. 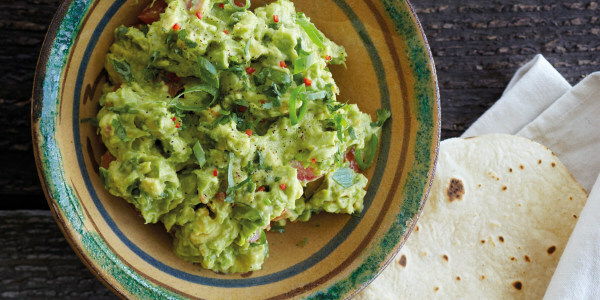 We say, it’s your guacamole, do what you want with it!